Ralph Demarco (1908-1977), a community and political leader in Queens County, envisioned a park at this site, and worked hard to turn his dream into reality. Demarco was born in Calabria, Italy, and immigrated to Astoria with his family when he was three years old. District leader from 1966 until his death, Demarco served as Deputy Commissioner of the Department of Sanitation and as an executive member of the Taminent Regular Democratic Club for 44 years. 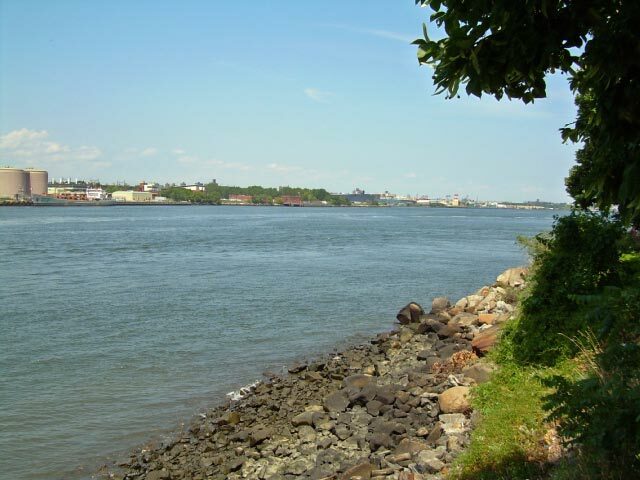 Convinced that an attractive waterfront would improve the quality of life for people in Astoria, he fought to make the East River a place to relax and enjoy the beautiful view of Manhattan. 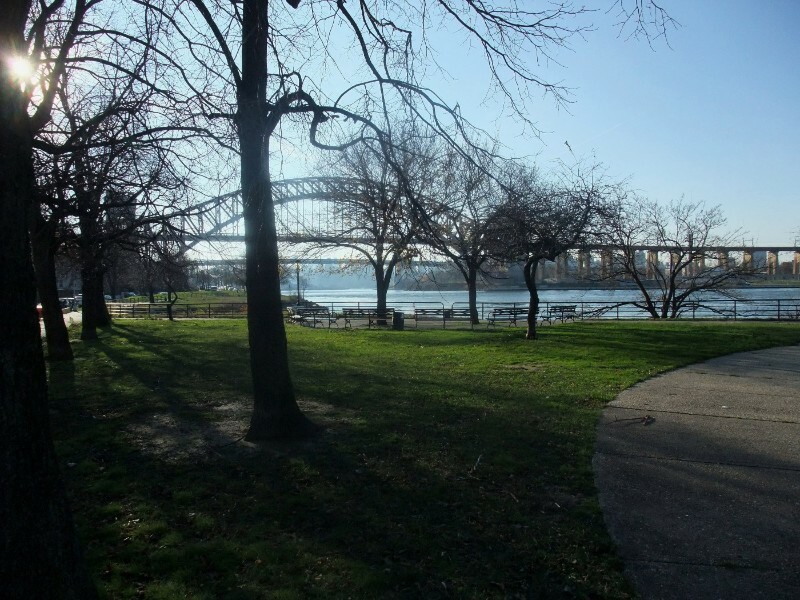 In 1968, the Board of Estimate mapped the land as an addition to Astoria Park. The city had title to most of the upland but still needed to acquire several small private parcels. The new mapped area was an irregular elongated strip of decrepit waterfront, 1,790 feet in length and varying in width from 39 feet to about 244 feet, much of it still underwater. The New York City Transit Authority used the material excavated from the 63rd Street subway tunnel as landfill for the park, greatly reducing costs. Demarco died in 1977, never having seen the finished park, which cost $525,000 and is bounded by Hell’s Gate, Shore Boulevard, 20th Avenue, and 22nd Avenue. On July 23, 1980, Mayor Edward I. Koch and Queens Borough President Donald Manes formally dedicated the park. Consolidated Edison, whose generating station borders the park, contributes to the maintenance of the area. The park not only helped to develop the waterfront, but improved the surrounding area as well. When the park opened, the city launched a $30 million rehabilitation project for Astoria Gardens, a complex of 1,438 apartments in 26 buildings across from the park. It was the first major facelift for the complex since it was built in 1949 for war veterans. 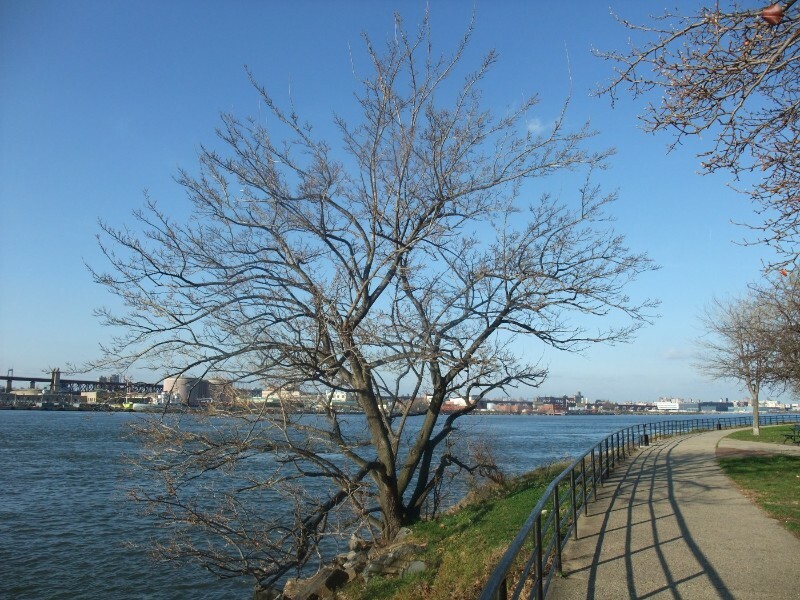 The arrangement of the narrow park, with paths, sitting areas, and weeping willows, provides a beautiful walk along the shore of the East River.